With Windows 10, Microsoft made upgrading Windows super easy, just like updating your normal softwares. 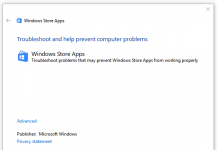 While upgrading to Windows 10 from previous version of windows, user may face many errors. Error Code 80240020 is related to unfinished or corrupted download which is very common problem if you are upgrading online. This error can occur with interrupted internet connection, blocking data by anti-virus or firewall on user’s computer. To solve this problem, you need to delete previously downloaded files from your computer so Windows Updated can download the clean files for you. Go to “C:\Windows\SoftwareDistribution\Download” and delete all files in that folder. Run the command prompt as administrator and run “wuauclt.exe /updatenow” without quotes. Go to Control Panel -> Windows Update and your windows will start re-downloading the update files. If you are getting error code 80240439 after following these steps, try disabling your anti-virus software and firewall. For some users, leaving everything alone solved the problem. Windows will keep trying and eventually the download will work. The Update will continue to download in background while user can use current Windows without any problem. When download is complete, user will get notification for it. Users can also download from Official Microsoft Download and start the process manually.